At our New London, Wisconsin location we carry Steel King’s SK2000 teardrop pallet rack, a high-quality, closed-tube pallet rack model. 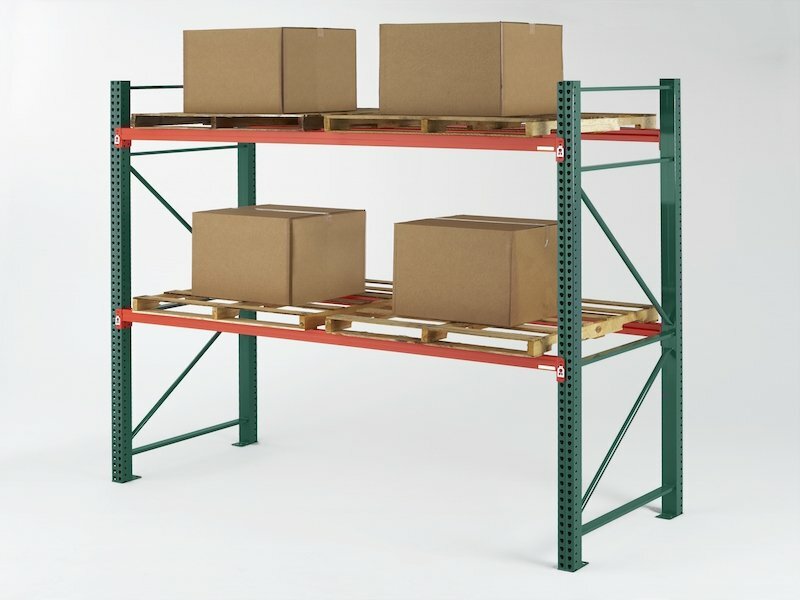 Pallet racking upright frames come in a standard color of green, and beams in orange. However, a wide range of custom color options is available to choose from. Teardrop upright frames are in stock in standard depths ranging from 24” to 48” deep and standard heights from 8’ to 20’. Likewise, in-stock beams are available in sizes ranging from 48” to 144” long. Does your storage application require non-standard pallet rack size? No problem — we can have customized pallet rack upright frames and beams tailor-made for your warehouse application. Safety and preparation are an essential part of a fully functioning warehouse storage system, and our New London, Wisconsin ship point carries the entire line of Steel King safety products. 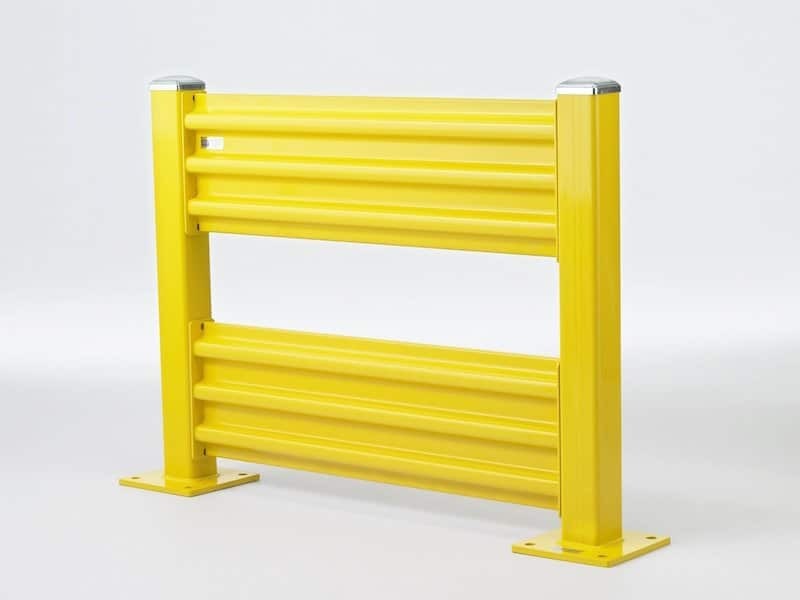 These safety products include both free standing column protectors and snap guard column protectors to shield pallet rack frames from everyday warehouse hazards like forklift collisions. No pallet rack system is complete without pallet rack wire decking. As part of our quick ship program, we offer Steel King wire decks out of our New London location. Along with pallet rack and safety products, offering wire decking gives customers the option of obtaining all of their pallet rack products from a single location. Prevention is preferable to repair, and at our New London location we have a variety of Steel King guarding products designed to keep pallet rack and personnel safe in busy warehouse environments. Each year, there are hundreds of thousands of warehouse accidents involving forklifts; guarding products, such as guard rails and racking protectors work to minimize these accidents and the damage caused by them. 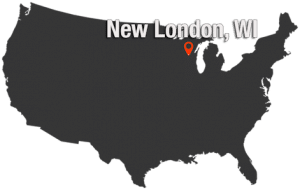 We don’t think you should have to wait weeks or months to get your pallet rack, so we offer 48 hour quick shipping from numerous locations across the country, including New London, Wisconsin. 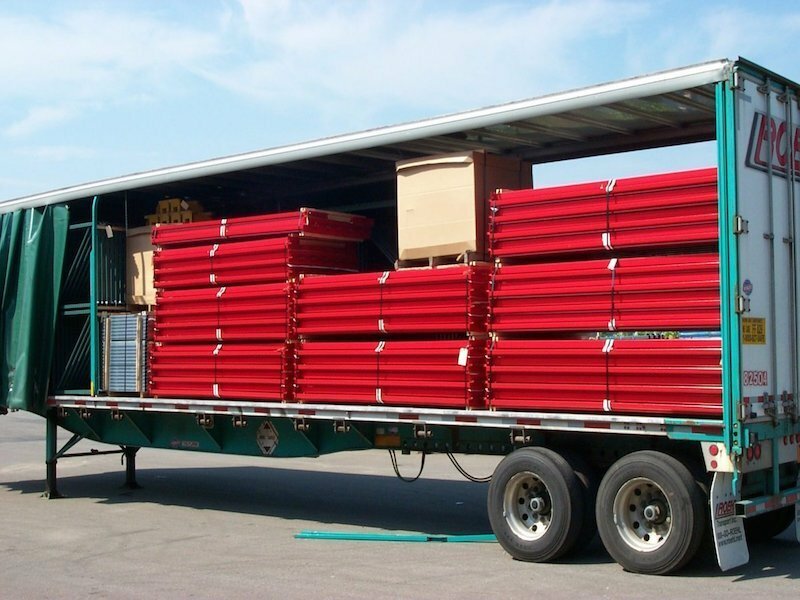 When you place an order for in-stock quick ship pallet rack, you can confidently expect your pallet rack to be ready to ship or be ready for pick up within 24-48 hours of order placement.